This panel brings together Nina Tonga, curator Pacific Art at Te Papa and curator of the Honolulu Biennial 2019, along with Julie Nagam and Heather Igloliorte, who are chairs of the Indigenous Advisory Circle at the Winnipeg Art Gallery, to consider the role of biennials and triennials in the process of decolonizing museums and arts institutions. 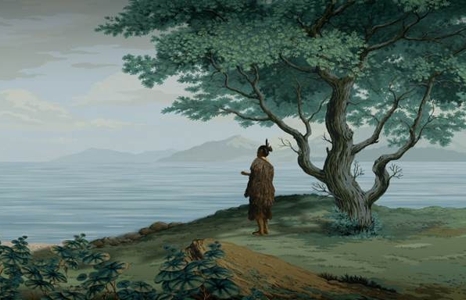 The conversation will center on Lisa Reihana's iPOV [infected], which has traveled extensively in exhibitions and on the bi/triennial circuit, and how indigenous curatorial perspectives are asserting new measures of art as they redefine curatorial priorities. This discussion will be moderated by HoMA director of curatorial affairs, Healoha Johnston.